its outstanding activities by the City of Dubrovnik. The ceremony will take place on February 2, 2005. The old synagogue of Dubrovnik is the oldest Sephardi synagogue in the world and the second oldest in Europe which is still in use today. 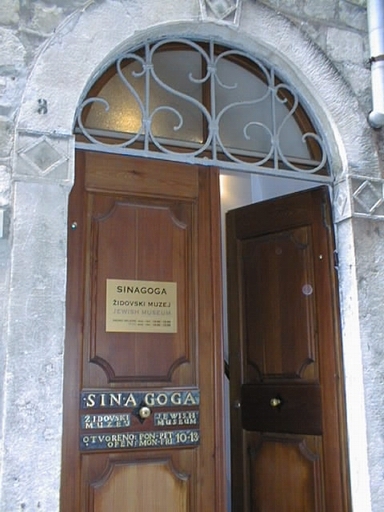 The synagogue was built in the style of the Baroque synagogues of Italy in the 14th century, on the third floor of a narrow and oblong building in the Jewish street and quarter. The community’s offices are on the second floor. The inner decoration, in Baroque style, was completed in 1652, and has been preserved to the present day. The partition, separating the women’s gallery, was added in the 18th century. In the partition are grilled small windows, through which the women could follow the service. There is a separate entrance to the women’s gallery from the West. In the middle of the oblong central hall there is a wall with three arches, which divides in two the wooden fenced Bimah. One side faces west and the other faces east. Opposite the Bimah is the Ark of the Law in the form of a splendid architectural structure, decorated with woodcuts, mounted on gold painted Corinthian pillars in the Baroque style. The Holy Ark holds Torah scrolls which had been brought by the exiles from Spain. On the steps leading to the Ark is a Moorish carpet of the 13th century. 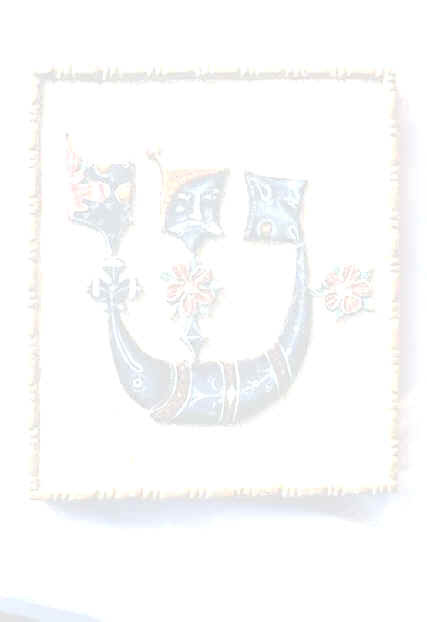 The ceiling is decorated with stucco relieves, painted sky blue with golden stars. Chandeliers of the 19th century, in the Florentine style, hang from the ceiling. 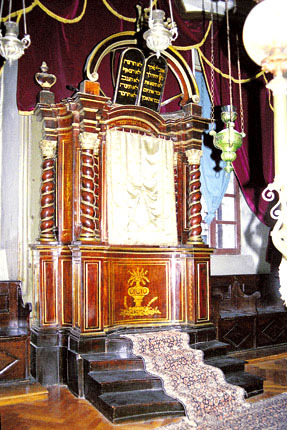 During World War II, the Ark of the Law was removed from its place together with the Torah Scrolls brought from Spain and taken into hiding. 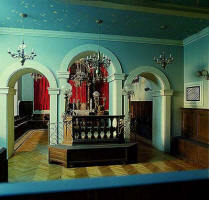 The synagogue survived the Holocaust and was re-dedicated in 1956. Sporadic prayers services were held in 1969. In 1980, a memorial plaque for the victims of the Holocaust was fixed at the synagogue. 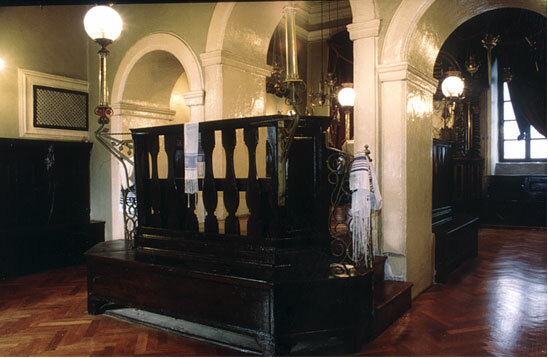 In the 1980’s the synagogue was not in use and the building served as a museum. 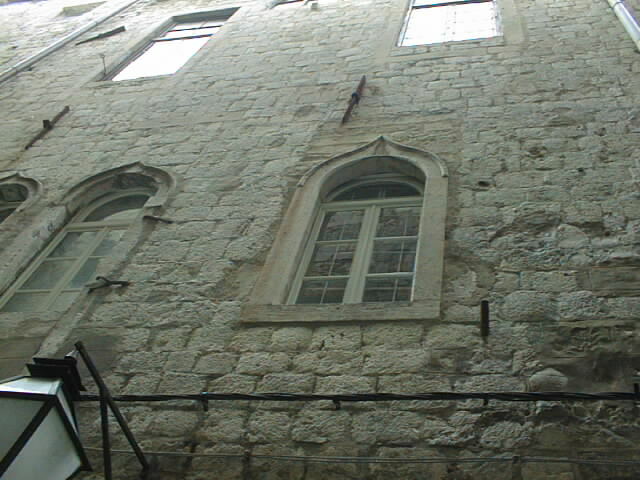 In the Bosnia-Croatia war in 1991, the roof of the synagogue was shelled, damaged and later repaired. In an additional renovation which was carried out in 1997 by the community, seven layers of paint were discovered in some of the walls. The renovated synagogue was consecrated again on New Year Day 5757 (1997). 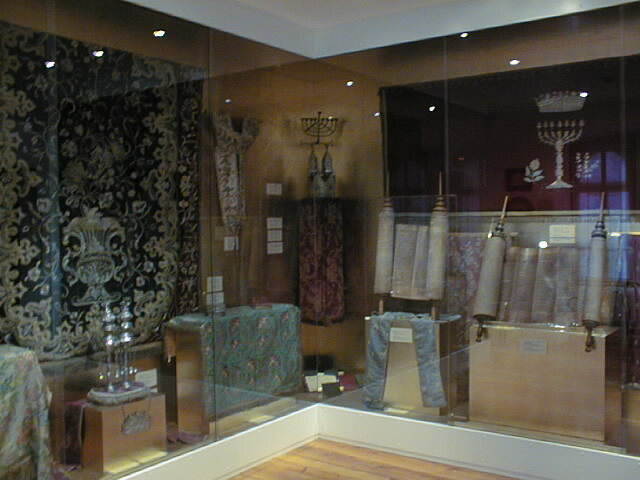 It is now a synagogue and a museum, and the prayers are held according to the Sephardi custom. 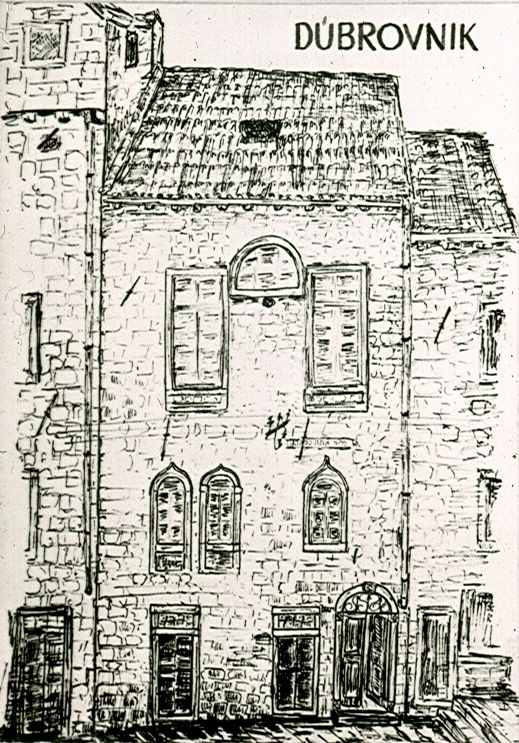 In 1998, the Jewish community of Dubrovnik consisted of 30 persons. Today, current members 47 (with maybe another 20 or so local Jewish non-members). There used to be 2 Jewish cemeteries. One was destroyed or rather was built-on during 50s. The other is still in use. It is opposite an old Sephardic Villa by the name of Marilda on the end of Ulica Od Republike (towards the old city, close to a bus station).